and a happy new year! 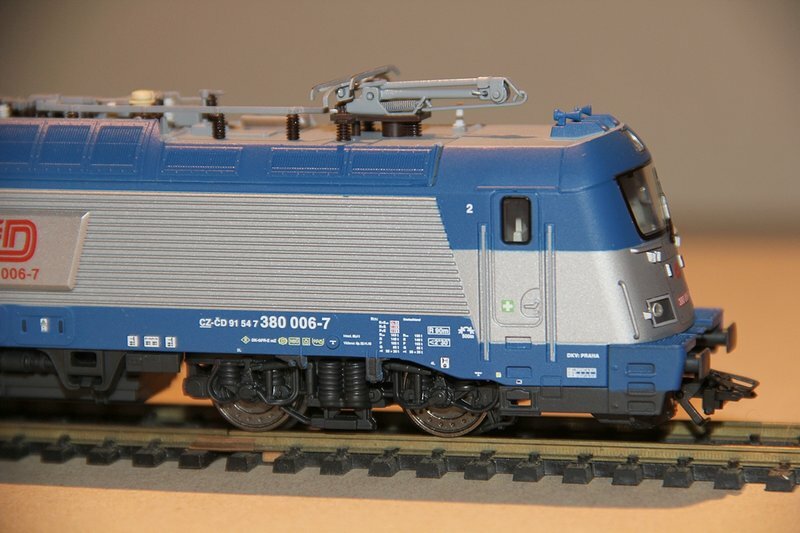 Here's the very last model I received in 2018, the new Trix (Märklin) Czech Railways class 380 electric. 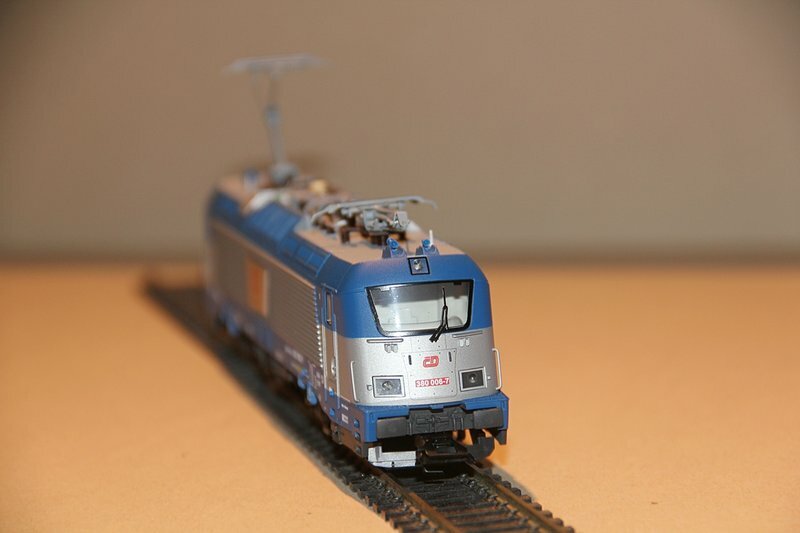 It resembles the most modern Skoda Lokomotive, which is in service with Czeck Railways CD, Slovakian Railways ZSR and since most recently also in Germany with Deutsche Bahn for the new Munich-Nuremberg-Express double decker trains. 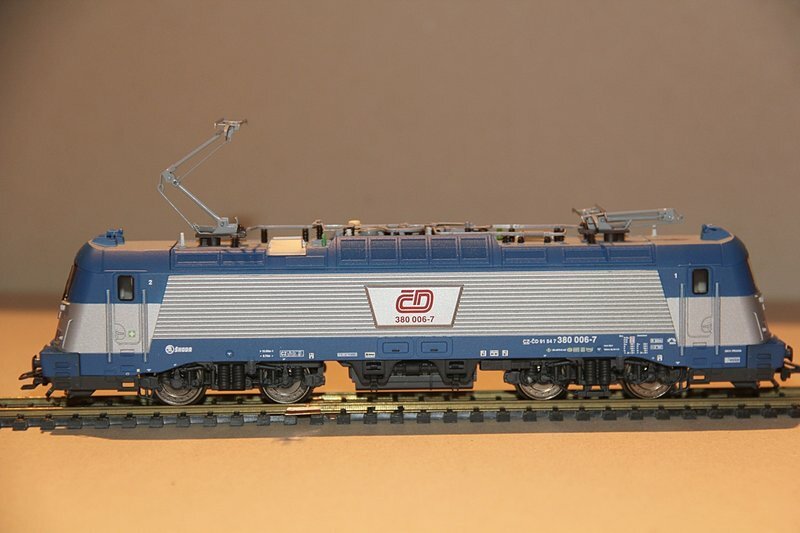 The HO-model itself is rather basic (Märklin-like) with cast on grab Irons (only four of them are separate pieces), otherwise matches the prototype quite well. 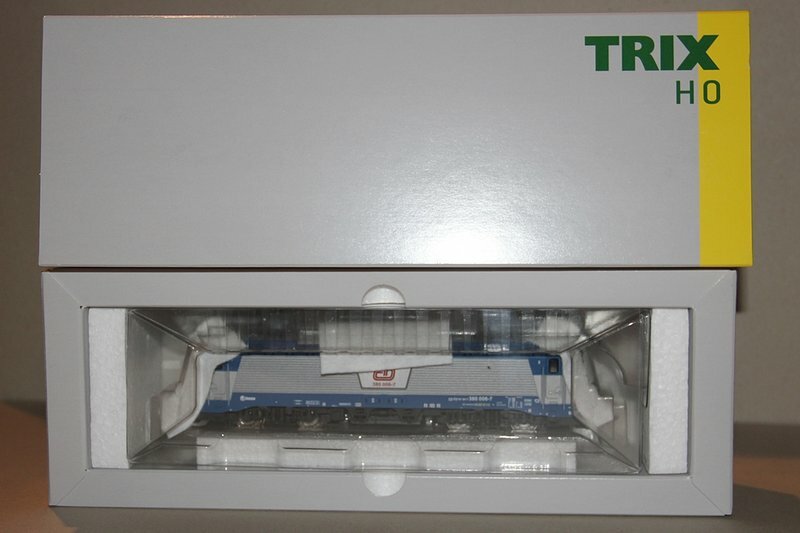 It was introduced on the Toy Fair Nuremberg 2018 and finally released in December. 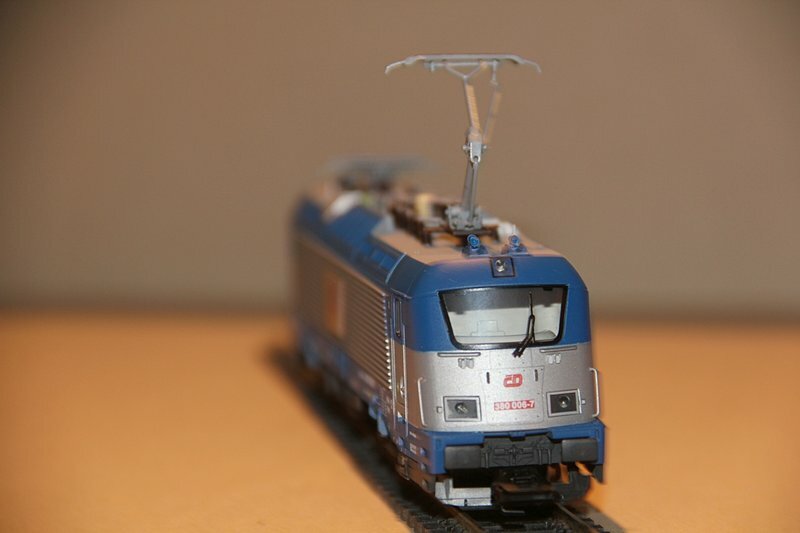 The real thing is a tri-current engine (25kV AC, 3kV DC and 15kV AC) and used in Czech Republic, Slovakia, Austria and Hungary. 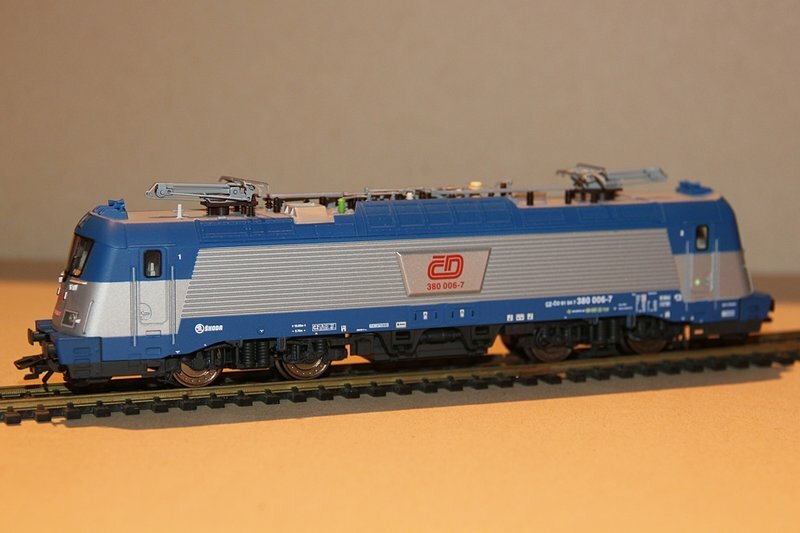 It was tested in Germany, too, but the CD-loco did not yet receive the permission to be operated on DB-tracks. 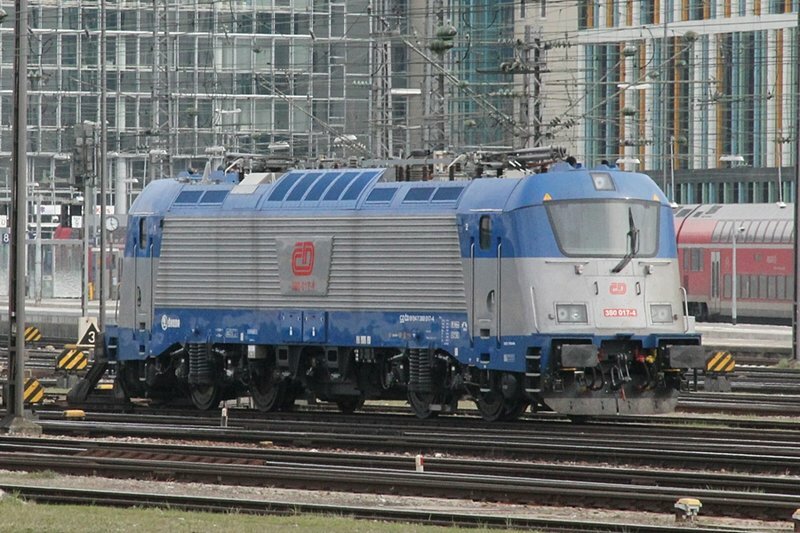 I managed to take a picture of this loco in Munich Central Station in March 2012 on one of their trial runs.